I was only recently introduced to Alexander Solzhenitsyn, and I look forward to reading and learning more about him in the future. From what I understand*, Alexander was a loyal communist in his youth. Born in 1918, he became a commander in the Russian Soviet army during World War II. As the war in Europe drew to a close, Alexander was arrested by the Soviets for writing a letter to a friend that was disrespectful toward Joseph Stalin. He was sentenced to eight years in labor camps and it was during that time of imprisonment that he appears to have abandoned Marxism and developed the Christian religious and philosophical positions he was known for later in life. Alexander Solzhenitsyn is perhaps best known as the author of “The Gulag Archipelago” and winner of the 1970 Nobel Prize in literature. Solzhenitsyn may be the originator of the term Gulag for the vast network of punitive institutions in Soviet Russia, or if not he at least gave the term prominence in the western world. 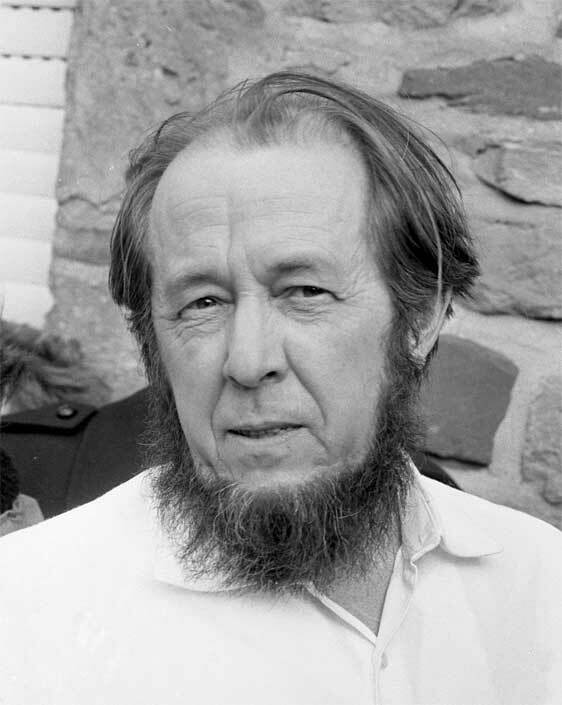 In 1978, not long after his deportation from the Soviet Union, Alexander Solzhenitsyn delivered Harvard’s commencement speech. 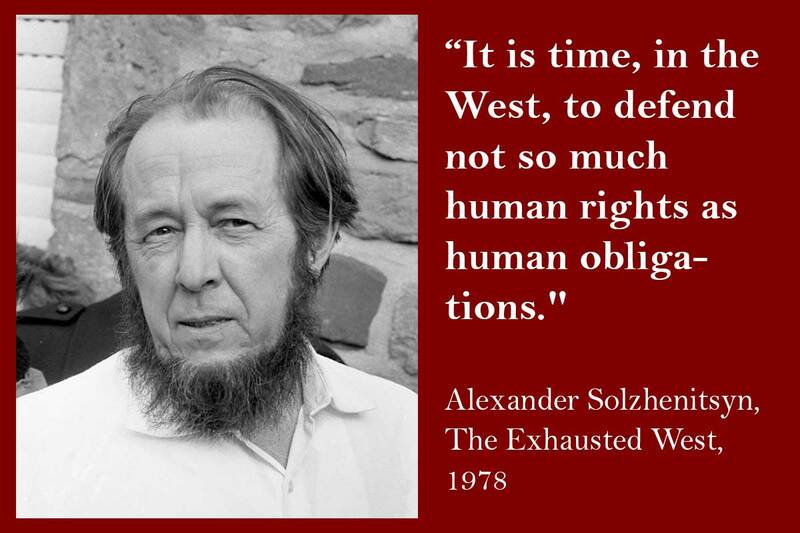 In that same year, Harvard published an article from Solzhenitsyn entitled The Exhausted West in which he charges the Western world with losing its courage and spiritual direction. I found the article most fascinating, prescient, and just as relevant today as when it was written nearly 40 years ago. Below are some of the quotes I found most interesting.